Please look the the availability calendar to make sure the time frame is available. The Heritage Farm Cottage, located on 5 acres of peaceful nature, blends historic farmhouse with sleek elegance. Inside this 2,100 sq. ft. upscale farmhouse are gleaming wooden floors, a gourmet kitchen, and a soothing white/grey/black interior decorating scheme that just makes your stress melt away. There are 4 bedrooms and 2 3/4 baths in this luxury home complete with a formal dining room. Luxuriate on the black leather sofas in the living room with its gas fireplace and large flat screen satellite-connected TV. Free Wi-Fi included. PLEASE NOTE: During the summer we rent by the full week: Saturday to Saturday only. 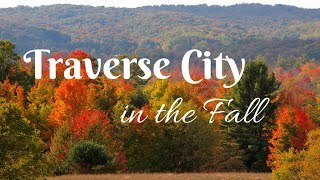 This Traverse City area vacation home gives even larger families, or families vacationing together, lots of space to spread out with a maximum capacity of 12. Imagine being out in the country far away from city bustle and relaxing on one of the two covered decks surrounded by all this natural beauty. But you don’t have to sacrifice on comfort or style while being away from the city. The fully equipped kitchen features a refrigerator with icemaker, gas cook top, oven, microwave, dishwasher, coffeemaker, toaster, glassware, dishes, pots and pans, cooking utensils, and silverware. The kitchen island breakfast bar seats three and eight more at the formal dining room table. A sunny nook off the kitchen with two comfy loungers will be the place everyone wants to linger with their morning coffee. A separate laundry room has a sink and washer/dryer. Sleeping Arrangements: Bedroom 1 (upper level master/bath) - king bed; Bedroom 2 (upper level) - king beg; Bedroom 3 (upper level) - 2 full beds; Bedroom 4 (upper level) - 2 full beds. Bring your favorite family lawn games because there is plenty of grass for major competitions. Or just get all the children together for an old-fashioned game of hide and seek. A gas grill lets you cook outside and enjoy the fresh country air. A fire pit with free wood will tempt you to spend at least one evening outside around a roaring fire looking up at all the stars and finding your favorite constellations. You’ll truly enjoy cooking up family meals in such a beautiful farmhouse kitchen. A breakfast bar with seating and lounging chairs tucked away in a special kitchen nook lets the rest of the family hangout and converse during meal prep. This Grand Traverse Bay area historic farmhouse is located just 9 miles south of all the entertainment Traverse City has to offer. You have easy access to the multitude of festivals in the area plus special food and wine events. The City hosts a six-week Great Lakes Equestrian Festival during July-August featuring International Olympic dressage competitions. Take your younger kids/grandkids to visit the Great Lakes Children Museum with hands-on, interactive exhibits where they can practice their piloting skills through the Great Lakes. Learn about water, locks, barges, boats, and lighthouses! Bring your bikes with you and head off to the Boardman Lake Trail. The 3-mile trail winds through the woods along the lakeshore and includes a bridge crossing over the Boardman River. Rates are based on 8 guests. $10/night per additional person up to a total of 12 people. Summer: $2300/week: mid-June to late August we rent by the full week only with Saturday switch-overs. Weekend night:$400/night, $250 for an additional weekday night. Check In is 4PM - 9PM and Check Out is 10AM. No late checkouts. If you will be arriving after dark, let us know so we can turn on the porch light and an inside light for you.